BowFlex is known for their hyped up infomercial,and those brief videos have been extremely successful in selling the BowFlex TreadClimber. New from BowFlex is the MAX Trainer and like the TreadClimber they claim amazing results within minimal time frames. Furthermore, their “research” shows that their machines get considerably better results in comparison to treadmills and elliptical trainers. The Bowflex Max Trainers are currently on SALE at www.Bowflex.com. They also have a decent video that demonstrates the benefits. The BowFlex MAX Trainer can get impressive results if it is used properly and consistently. However, it will not provide miraculous results. For example, with the MAX Trainer, BowFlex claims if you use it 14 minutes, three times a week you will see results. Obviously you are going to get some results in comparison to laying on a couch, watching TV, and eating bon bons. If you want to burn serious calories you need to commit a serious amount of time. In fact, in one of the reviews a customer states that 14 minutes, three times a week is not going to cut it. When you watch the videos there are numerous satisfied customer that loss considerable weight in ten weeks. I can guarantee you they worked out more that 14 minutes, 3 times a week. There are also customers that have impressive pecks and six pack abs. That did not come from using the MAX Trainer. That is from some intense strength training and ab workouts. If you want impressive results you are going to need to do more than exercise. You will also need to radically change your diet and eat less. They really do not mention that in the videos. 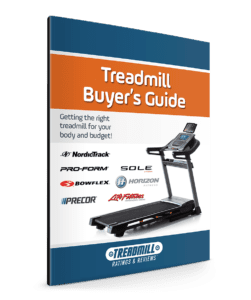 Like the TreadClimber, BowFlex claims through their research that the MAX Trainer will burn considerably more calories in comparison to a treadmill, stairclimber or elliptical trainer. However, they are comparing apples to oranges. What they don’t tell you is that the tests were done with the MAX Trainer set at some intense levels, while the other machines where at minimal levels of resistance and speed. Hybrid Stairclimber and Elliptical Trainer — The MAX Trainer combines the best of a stairclimber and elliptical trainer. You get the intense cardio workout that comes from the stairclimber motion, plus the upper body workout that comes with the moving handlebars you would find on an elliptical trainer. So you are exercising both your upper and lower body simultaneously. Research shows that by working out multiple muscle groups you actually get more results with less perceived level of exertion. It should be noted that the handlebars have multiple grips so you can target more upper body muscles. Interval Training — The BowFlex MAX Trainer focuses on Interval training, where you go from intense exercising to periods of cool down. This is a technique used by professional athletes to optimize their performance. Interval training programs are typically installed in treadmills and elliptical trainers. Easy to Mount and Dismount — In comparison to a rear drive elliptical trainer it is very easy to get on and off the MAX Trainer. Pedals Angle — Unlike a stairclimber, the MAX Trainer pedals angle with the motion resulting in less heel lift and foot numbness. Easy to Assemble – Most customer talk about the ease to assemble, although it is helpful to have two people for part of the assembly. Reverse Motion — Being more a stairclimber than an elliptical trainer, you tend to have more of a reverse motion in comparison to an elliptical stride. An elliptical trainer will result in less stress to your lower joints because the motion never reverses, although the MAX Trainer has considerably less impact in comparison than running or walking outdoors. Not a Heavy Weight Machine — The MAX Trainer weighs in at around 143 lbs. The combination of the moderate machine weight and the small base can compromise the stability for excessive overweight people or aggressive users. One of the biggest drawbacks to the BowFlex MAX Trainer is that there is nowhere you can test the machine. So you have to make a leap of faith. From our perspective it is a decent cardio machine that gets results, but not the results the infomercials and videos claim. The MAX Trainer does appear to have a high level of customer satisfactions, and so that in itself is a strong endorsement. We did notice that most of the reviews were from people who were out of shape and overweight and wanted to get back into shape, and for that segment the BowFlex MAX Trainer has generally satisfied their needs in reaching their fitness goals.